Add this very cherry square serving dish to your summer dinner table. 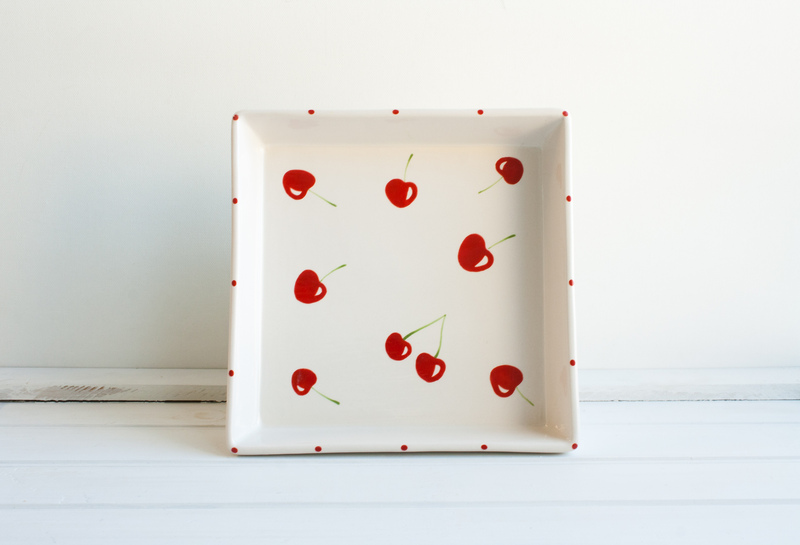 This square serving dish is approximately 8" x 8." 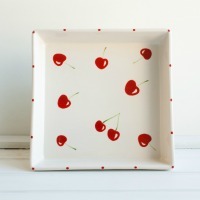 This hand painted server is decorated with hand painted cherries and red polka dot border.